XTreme Kids offers Rubik’s cube course which helps kids to improve their hand to eye co-ordination. It increases levels of patience and mental reflexes. Studying Rubik’s cube will also increase kids learning capacity. It is essential to challenge the brain early on in kid’s lives. 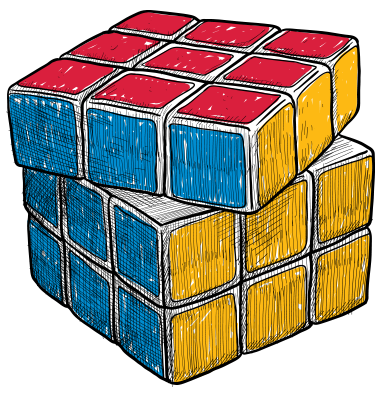 There are a lot of mental perks associated with playing the Rubik’s cube. Rubik’s cube is a 3-D combination puzzle game. Our trainers enable the kids to analyze and understand the Rubik’s Cube. They provide complete training on simple and fast finger tricks and also explain the algorithms to solve the Rubik’s cube.